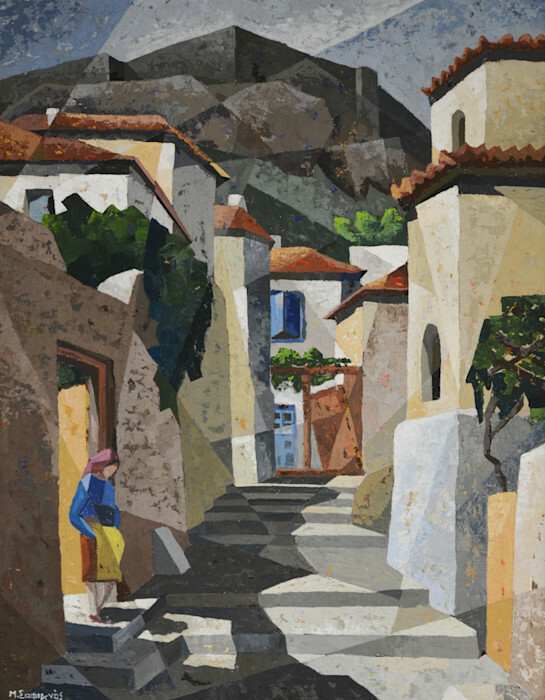 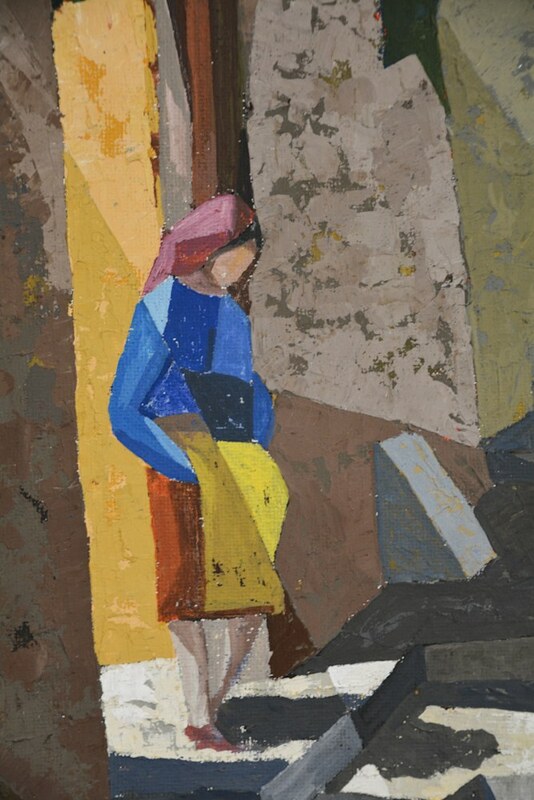 Frame Size: 34.5" x 27.5"
This striking image is a unique cubist view of the traditional village street scene. 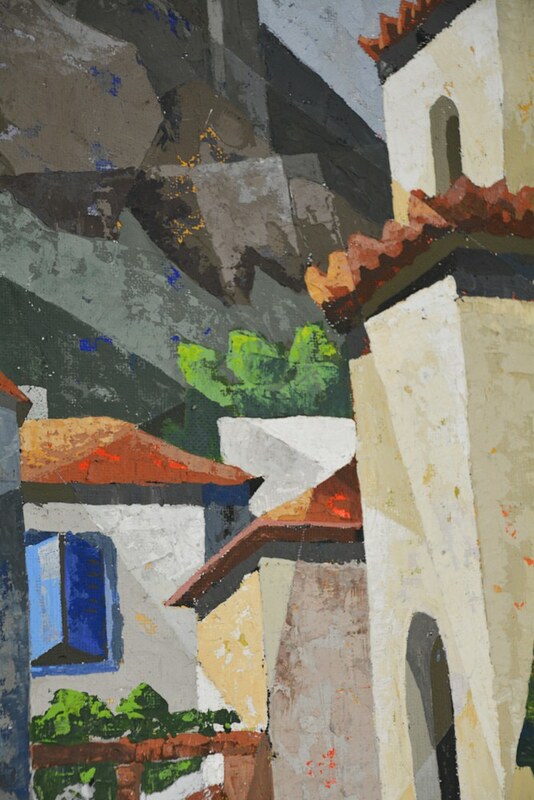 The painting has the duality of both a representative and abstract nature existing together in beautiful harmony. 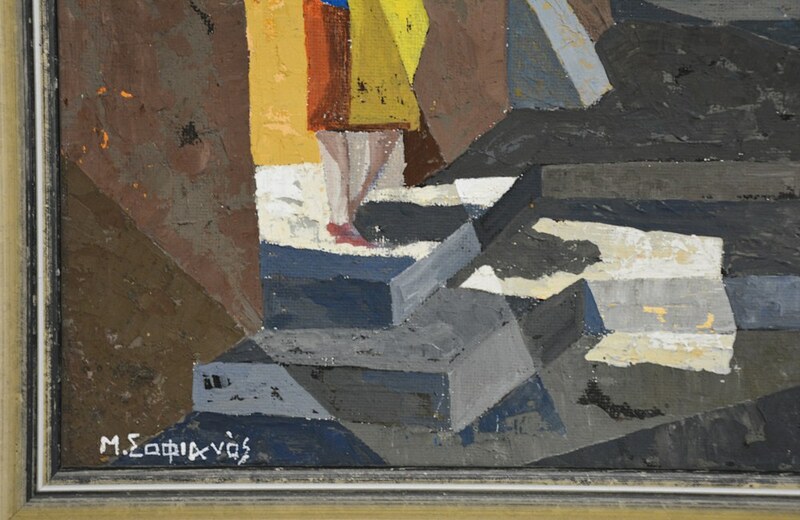 Everything from the woman to the windows and mountain is clearly discernible, but appears to be seen through the fractured panes of a prism. 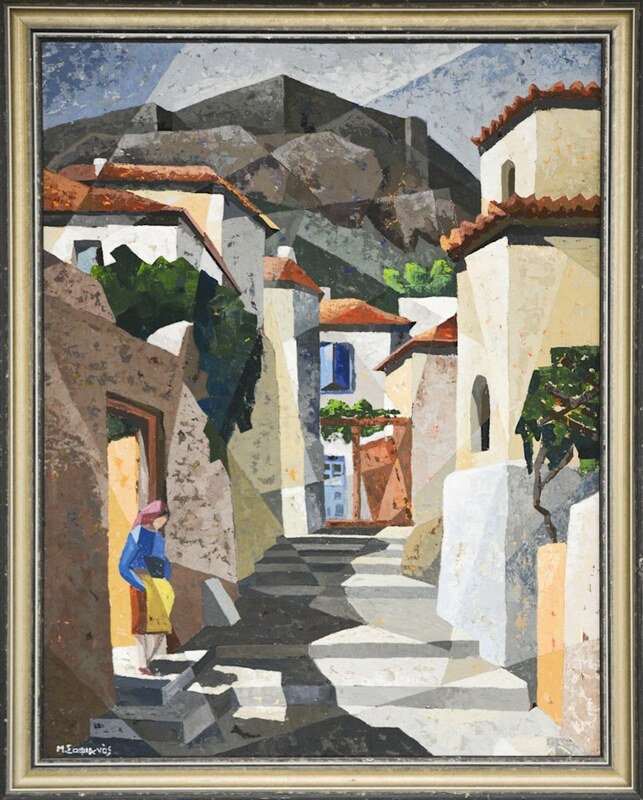 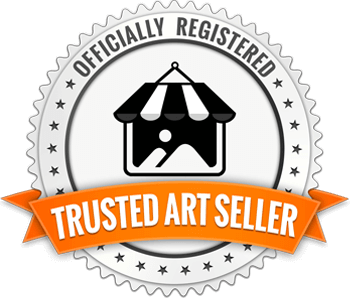 Sofianos is well listed Greek artist. 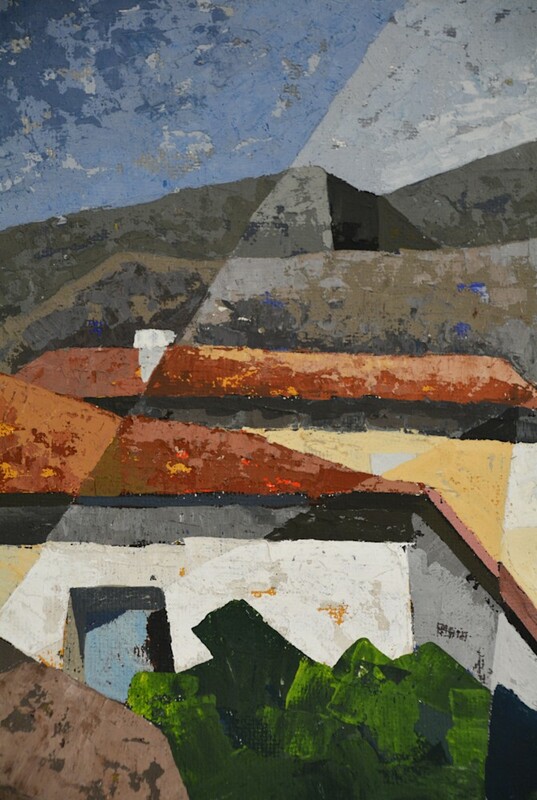 Fascinated with organization and structure, he painted villages, historical buildings and homes.